The overall campaign was shot in the 32 qualified countries showing that every country has its own Samba. Every country has its own Samba, its own joy, its unique way of dancing with a football. And since every unique dance needs a unique song, Visa invited musicians from each of the 32 qualified countries to reimagine the Brazilian favorite “Maria Caipirinha” (Samba da Bahia). 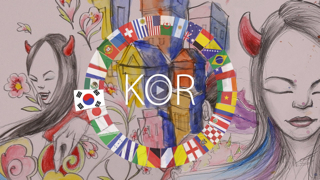 Then, they asked 32 filmmakers to share how their nation celebrates the FIFA World Cup. The result is an exciting journey around the globe. Find out what kind of food fans have on match days, what types of gear they wear, get to know some of their country's football rituals and history, and enjoy their unique way of celebrating. The Visa site also has a Teletransporter that, using your webcam, lets you put yourself in memorable situations like taking a selfie with Zidane and Cannavaro, giving rubdowns to players, or doing Higuita's famous scorpion save. If you want to get a daily feed of the fans celebrations around the world, just follow the Visa Fanbassadors, insider fans that will cover the best moments. The new Visa World Cup Digital Campaign may be one of the most personalized ever and it really stands out on its effort to give the FIFA World Cup to whom it really belongs: the fans. Agency: AKQA San Francisco/São Paulo. Global Production Company: Skunk - with Saman Kesh as the Advisor for Directors. Overseeing Sound Production Company: Copilot, New York.